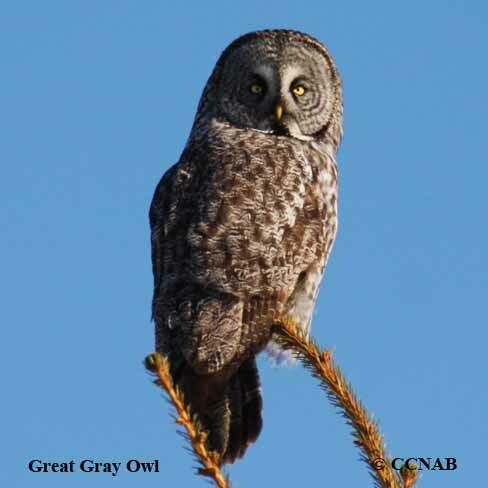 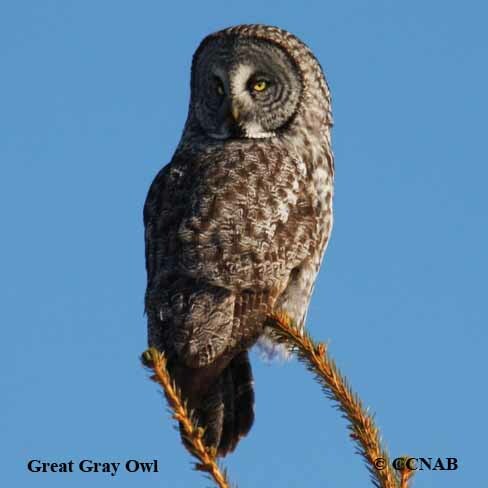 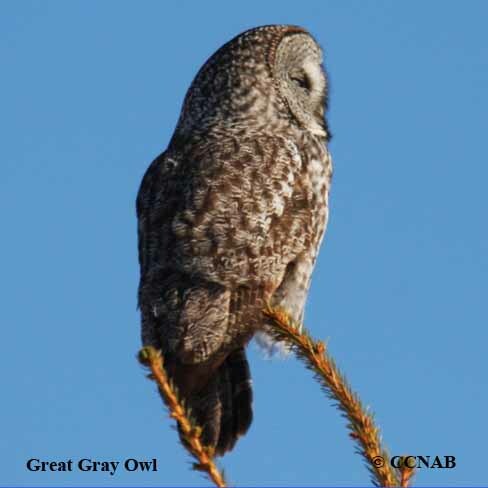 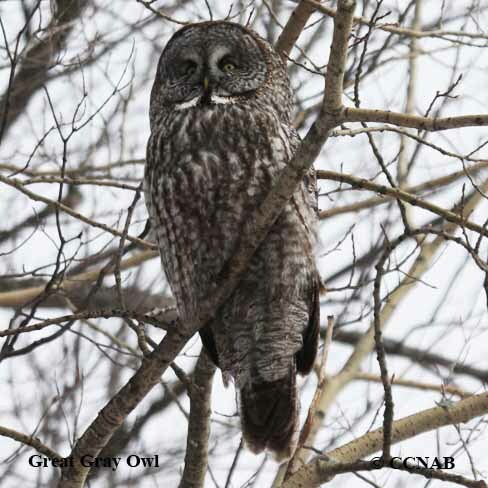 The Great Gray Owl is one of the largest owls in North America by appearance, but not by weight. 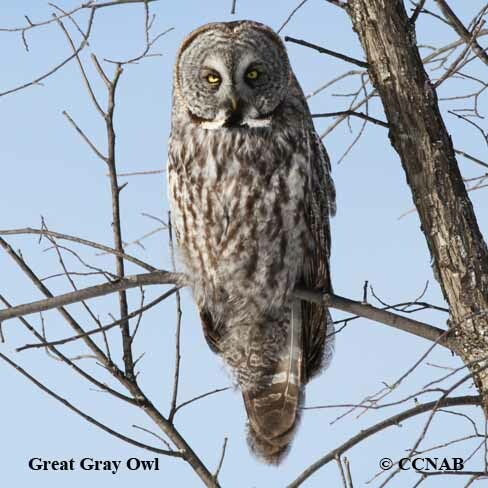 Its size is made up of mostly feathers, which protects it from the harsh winter weather. 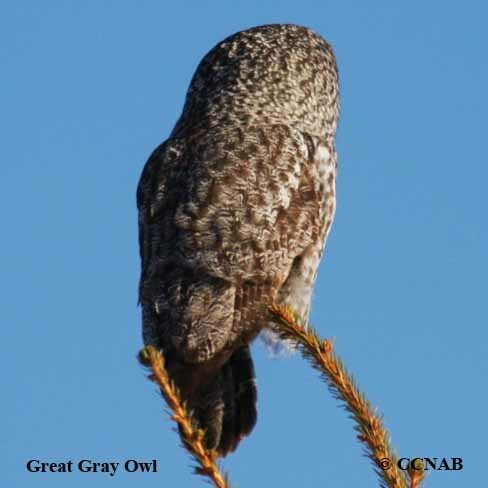 This northern owl's main diet is made up of mice and small animals, mainly because it does not have powerful talons like other large owl species.